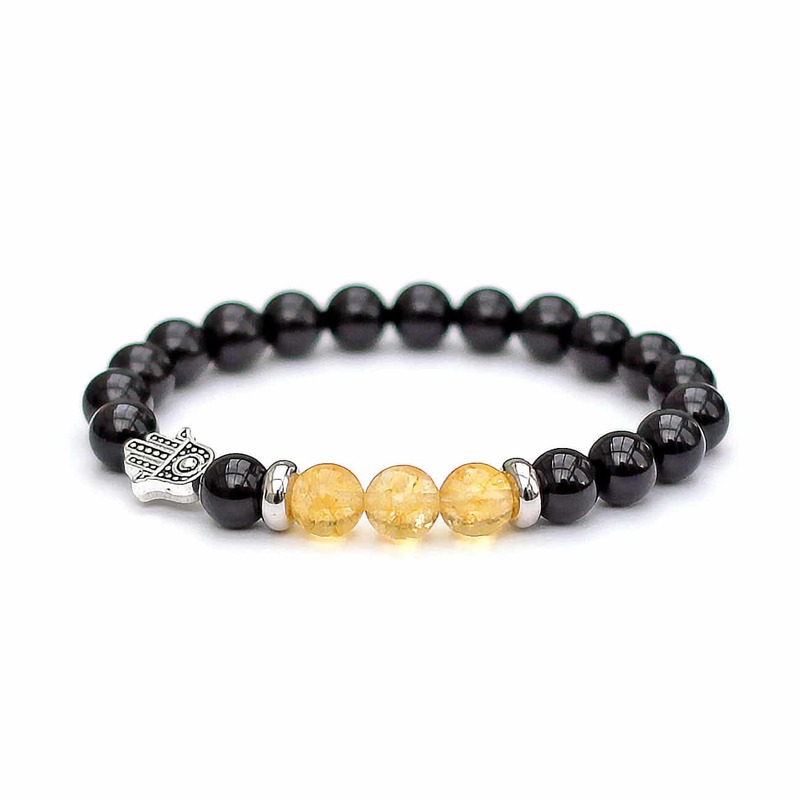 Made with 100% natural high-grade semi-precious gemstones of Citrine and Onyx. 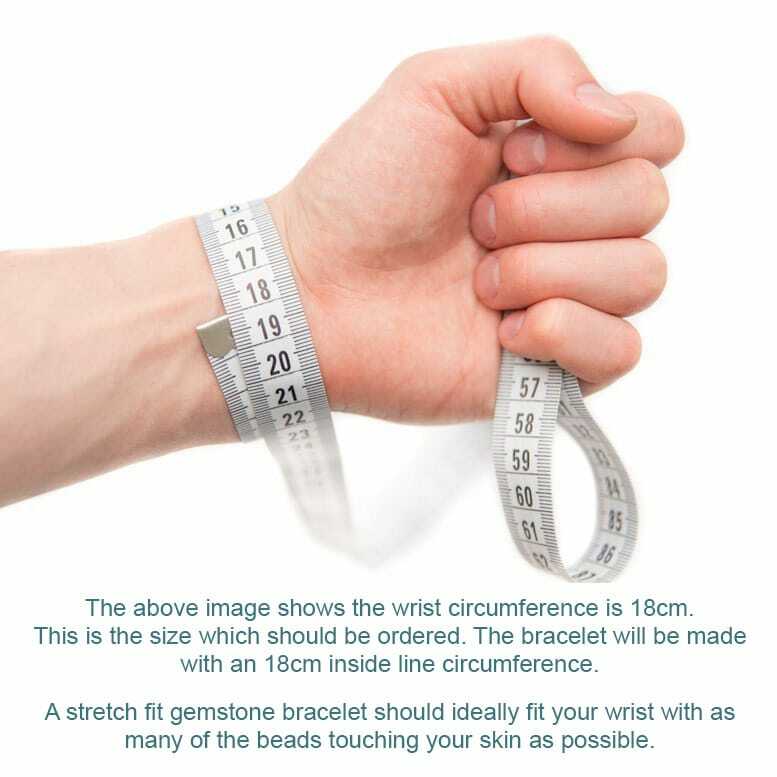 The stone beads measure 8mm diameter. 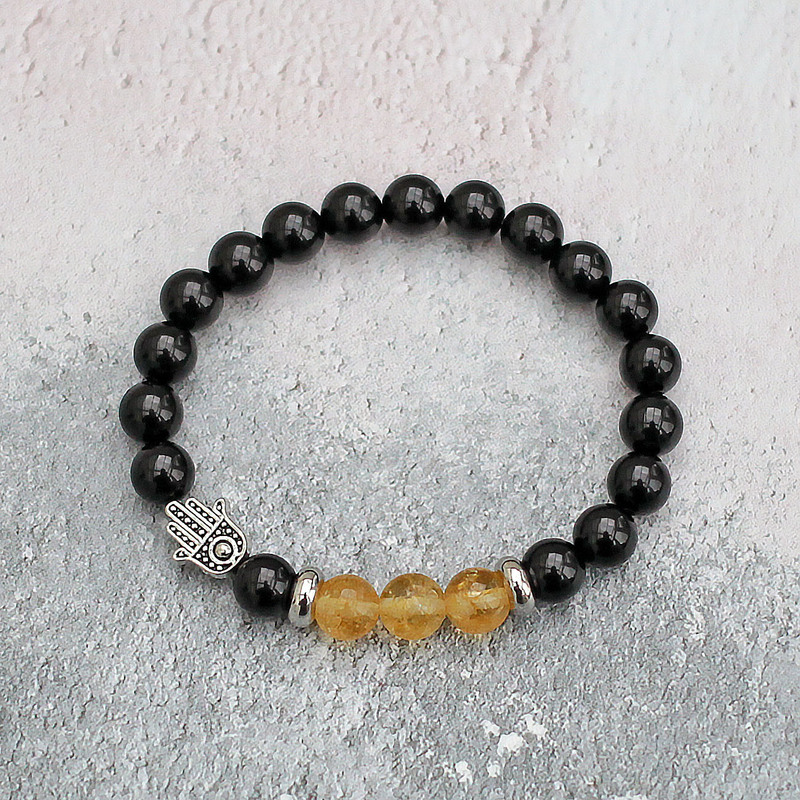 There are two silver tone brass spacers on either side of the three Citrine beads. 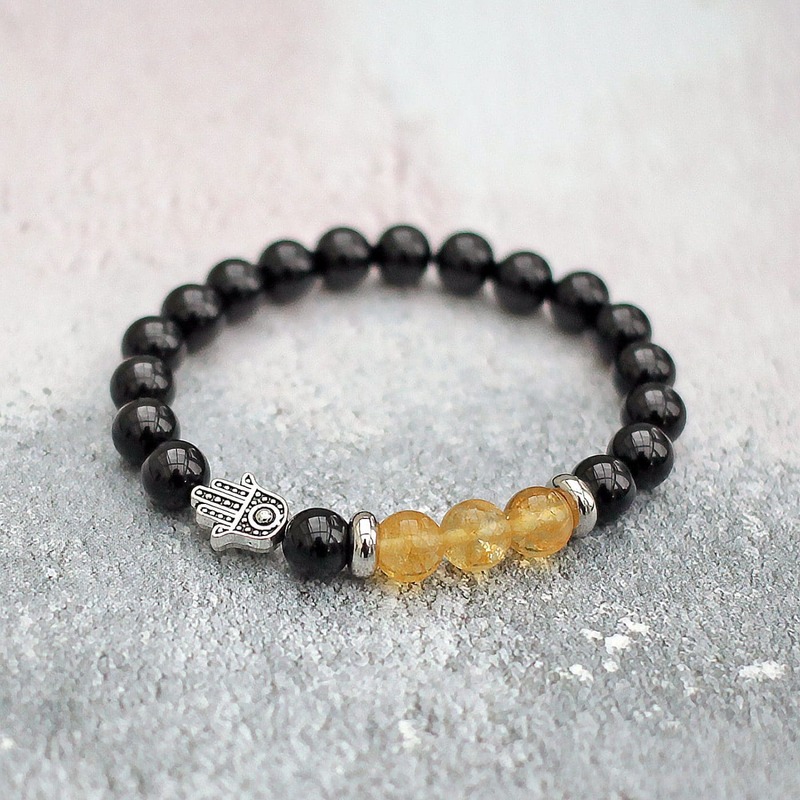 the Hamsa is Tibetan Silver. 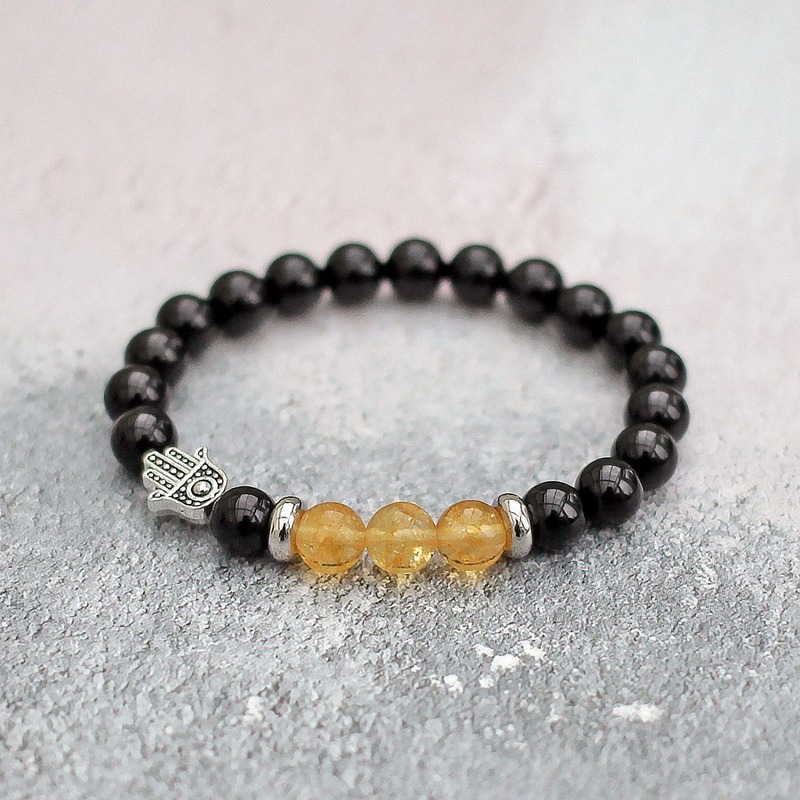 Lovely fit and great quality. Arrived quickly.